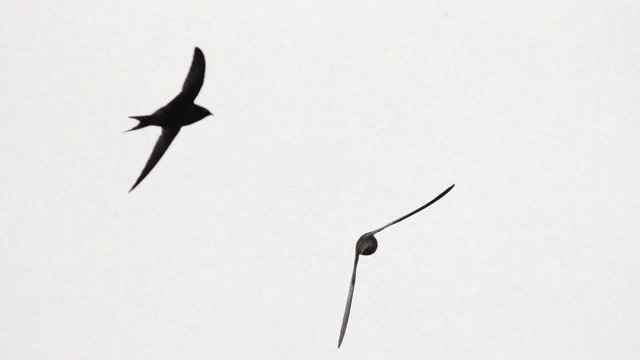 Swifts are aerial acrobats, but they are extraordinary birds for other reasons too. They spend almost all their lives flying. They feed and sleep on the wing. They can even mate on the wing. Normally they only land to breed. A pair of Swifts may gather 20,000 aphids midges and other insects in a single day to feed their young in the nest. They nest out of sight in buildings: under roof tiles or in eaves or cracks in walls. Sadly their numbers have declined dramatically in the last 20 years. One reason for this is that nest sites are lost when buildings are repaired or demolished.